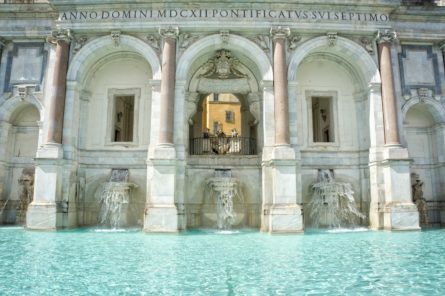 The Rome pre cruise tour has been especially designed for those guests who arrive by train or plane and wish to tour Rome before boarding their ship to embark on their cruise. This is a great way to have an overall view of the city in just a few hours! The pre cruise tour of Rome includes our pick up service with luggage handling upon your arrival at the airport or train station, a city tour of Rome’s most iconic sites and then a transfer to the Civitavecchia cruise dock. If you are already in Rome, pick up will be from your hotel. Select your own itinerary and decide the duration of your tour with transfer (usually 3 or 4 hours) according to your particular interests and priorities: Ancient and Baroque Rome, Religious Rome, time for shopping on the famous Via del Corso or a relaxing lunch in an outdoor café and a pleasant walk in the downtown area. Your local driver will be very flexible and will help you to make the most out of your brief stay in the eternal city. The tour services will conclude when you are dropped off at the Port of Civitavecchia to embark on your cruise, or at your hotel in Rome.